We have a 20 yard indoor range with 9 four foot lanes! Our range is open to the public during our regular business hours. Range fees are $7.00 an hour for a lane. Or if you are coming in to rent equipment as well it’s an additional $8.00 per bow and a set of arrows. We offer 10 Hour Range Cards for $50.00. This brings the Cost down to only $5.00 an hour! Our 5 spot Archery Leagues are designed for enthusiast to enjoy. We shoot a NFAA 300 (5 spot) format. The league is scheduled for 10 weeks of shooting (8 scorable). League will begin Tuesday, Jan 9th 2017 @ 6pm. With shooting available on Tuesdays and Thursdays at 6pm. Mens Open, Bowhunter, Traditional, Senior and VINTAGE! Womens Open, Bowhunter, Traditional, Senior and VINTAGE! Vintage Classes are based on having 3 or more shooters with a compound bow produced from 1985 or prior. Modern accessories (sight/rest/arrows) are allowed. ANYONE WHO PLACES IN LEAGUES WILL BE GIVEN A PLACK AND PLACED ON THE HUNTERS HAVEN WINTER LEAGUE TROPHY! 1st Place will win CASH. 2nd Place will win a Winners Choice String Job ($100) and a $50 Hunters Haven Gift Card. 3rd Place will win a Winners choice String Job. A single match is shot for each week, consisting of 2 games shot in 2 flights. Archers shoot a total of 60 arrows per match – 5 arrows per end, 6 ends per game, and 12 ends per match. After the first game the targets will be swapped from top to bottom. Archers shooting a 5-spot must shoot one arrow in each of the 5 targets. Shooting multiple arrows in a single target will result in the highest scoring arrow being disqualified. Score on the single spot target is 5 points for the ‘X’, then 5, 4, 3, 2, 1 for each successive ring. Maximum score is 25 per end, 100 per game, and 300 per match with the Most X's as a Tie Breaker. Open Class: Standard ASA OPEN CLASS RULES APPLY. We offer Basic Individual Archery Lessons every 3rd Tuesday of the Month from 6-7:00pm. If you are interested please call today and Register! The Cost is $20.00 per shooter. Participants must pay in advance, and must cancel within 24 hours if they wish to do so. All equipment is provided, unless you wish to bring your own. We offer Private Archery Instuction for $25.00 an Hour in the evenings upon being scheduled. Lessons are arranged with Matt Stacher and can be scheduled below. We also offer basic group archery lessons at the same rate as our bow rentals. They are very introductory and get you shooting comfortably on our range. We do offer our Range for Private Events such as Birthday parties, private groups and private group lessons. Range time is PER BOW! $15.00 per bow/arrows/lane for 1 Hour. EXAMPLE: You have 10 shooters, you rent 5 bows for $75.00 for 1 hour. Shooters take turns. You have 15 shooters, you rent 5 bows for $75.00 for 1 hour. You can rent as many bows as you like. 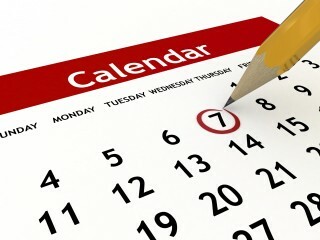 Scheduling can be done on the calendar above.